The U.S. Fish and Wildlife Service's (FWS) biological opinion provides a seemingly conflicted and reluctant expression of support for the Silver State South solar project on the basis of mitigation measures that it admits may not offset the damage done by the project to the viability of a key habitat linkage for the desert tortoise. The biological opinion is FWS' contribution to the Bureau of Land Management's (BLM) environmental review of the Silver State South project, and evaluates how the project will impact the desert tortoise. 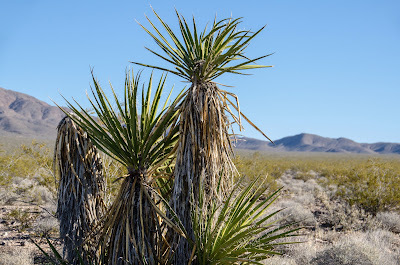 Perhaps to speed approval of the project, the opinion glosses over a significant potential consequence of the project - local extirpation of the desert tortoise population in the Ivanpah Valley.